I tried… I really did… But I could not pull off blogging yesterday. 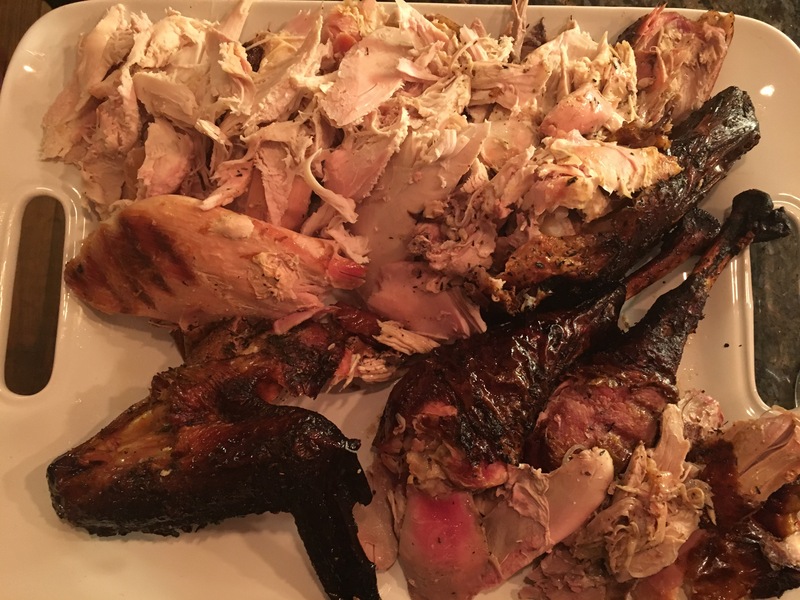 Truth is, Thanksgving is inevitably chaotic and rushed and too much fun to sit down and knock out an explanation of how to cook a turkey for 3 hours. And here is how we get there…. 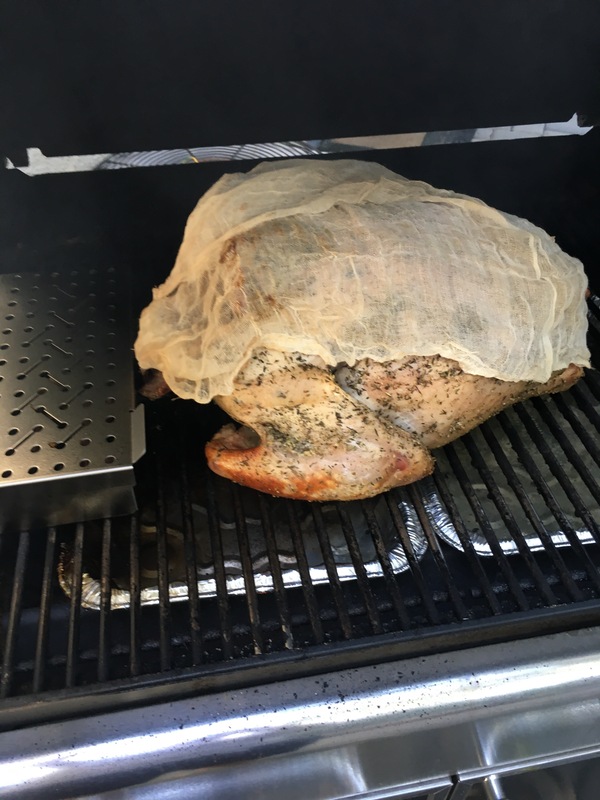 For turkey you use applewood. You can also throw in a handful of hickory, if you like. Ratio should be at least three-to-one of applewood to anything else. Soak for at least and hour in water, beer, or wine. 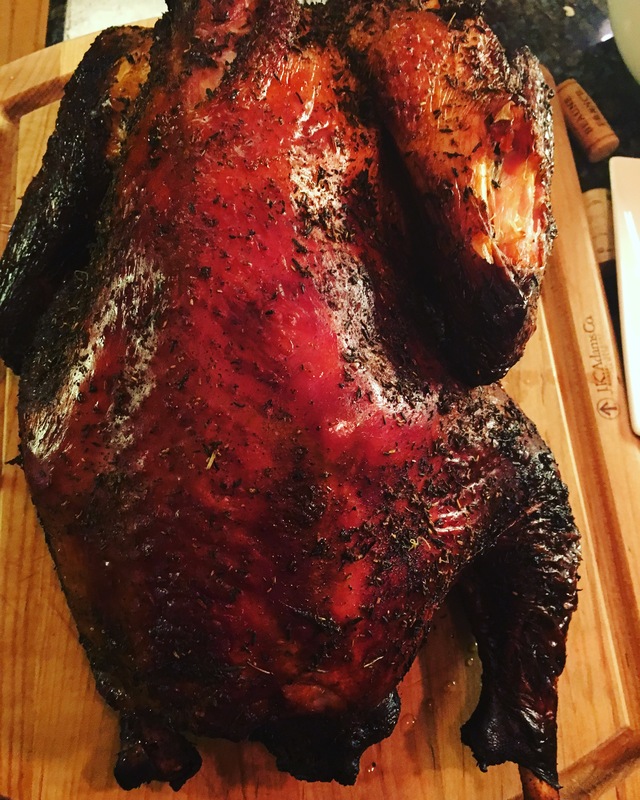 This year we called our bird Trina Yardbird (after the name my wife calls Trisha Yearwood when she watches her cooking show and cannot remember her name). Trina was 13 pounds. 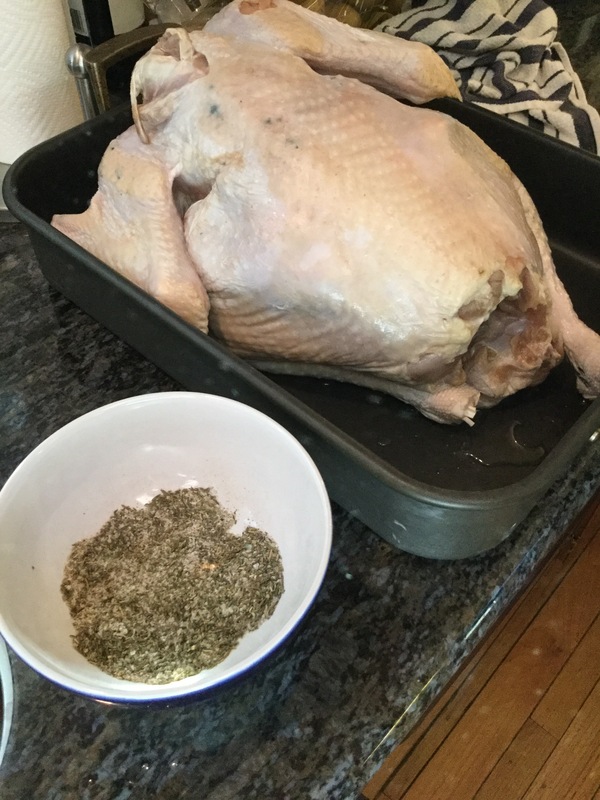 Start by rubbing the entire Trina with extra virgin olive oil, then cover in the rub. After the rub, stab an orange a few times and put it in her cavity. We use “indirect heat method” on this for the grill, which is a fancy way of saying there is something in between flames and the thing you are cooking. 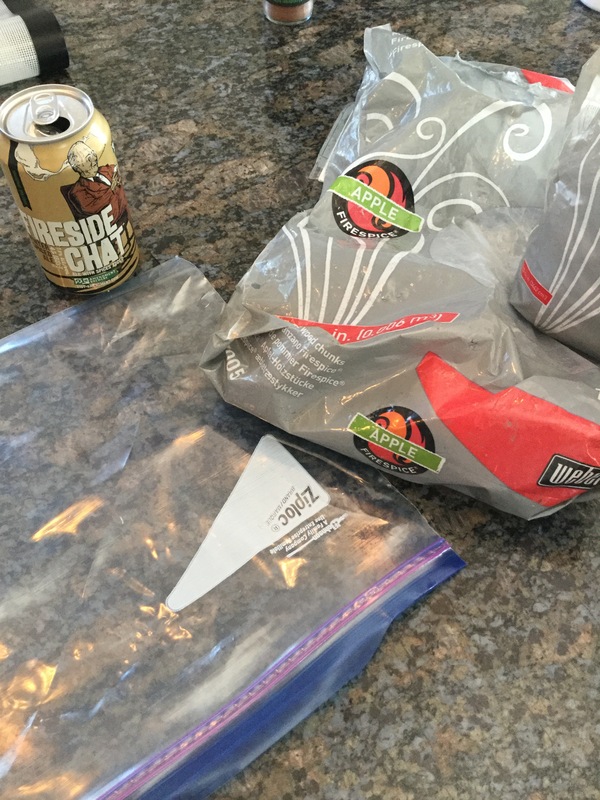 In this case, it is a drip pan filled with about a liter of water that sits beneath the grill rack but above the flavorizer bars and should be big enough that it is under the entire Trina. This keeps the grease from getting to the flame (so no fire), helps moderate temperature, and keeps some moisture in the grill area. 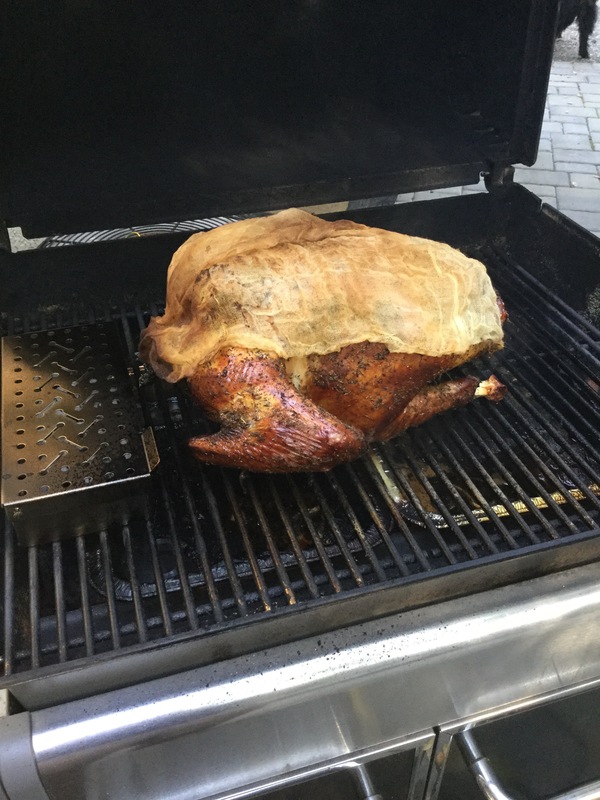 Throw some chips in a smoker box a couple minutes before you get the turkey on the grill, so, they will start puffing immediately. A cheese cloth (soaked in a bit of water) goes over Trina for pretty much the whole time. We haven’t much discussed brands on this blog, and we do so pretty sparingly. The exception to this might be grills. #Weber. The end. 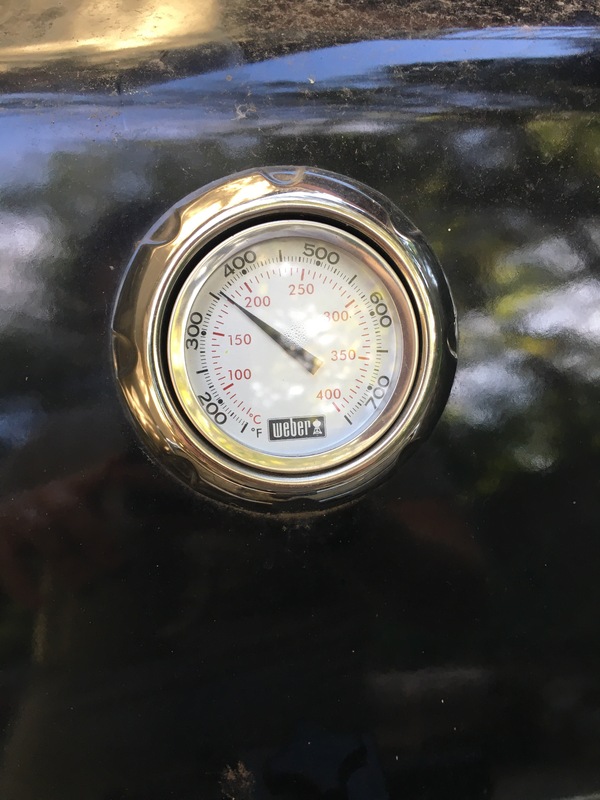 The goal yesterday was to stay around 350 degrees F. Pump the temperature up a little higher than your goal temperature before you put the Trina on, as she will drop the temperature a little. This photos is about three-quarters of the way through. Check on Trina hourly. That is also about how often you need to add new wood chips. Trina is done when the innermost part of the thigh and thickest part of the breast hit 165. My brother gets credit for excellent carving on this one. Gather the troops and enjoy. It’s Thanksgiving, for heaven’s sake. Here is the guest appearance turkey from my brother-in-law. This one is a real snap. 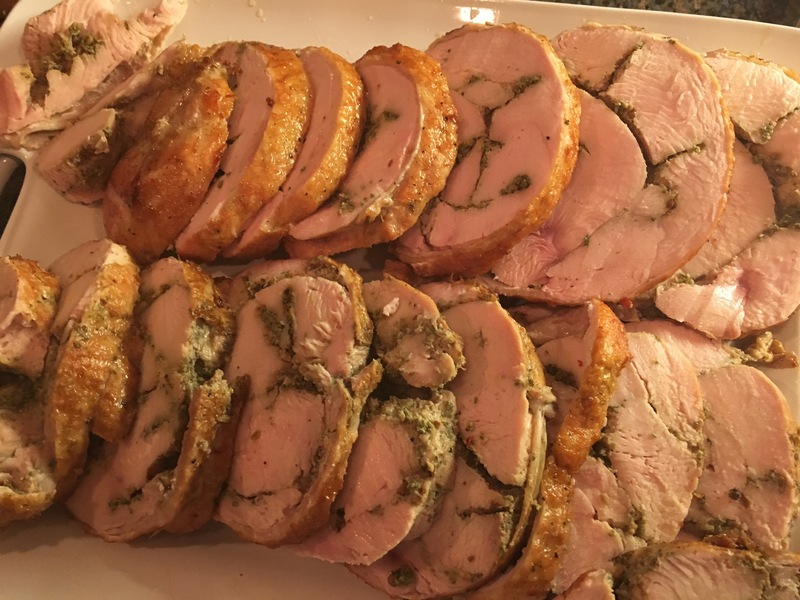 Turkey breast, rolled around a sage stuffing, and five hours in a sous vide. He doesn’t have a blog. If he did, we agree it would be called Tedius, Inaccessible, and Delicious.